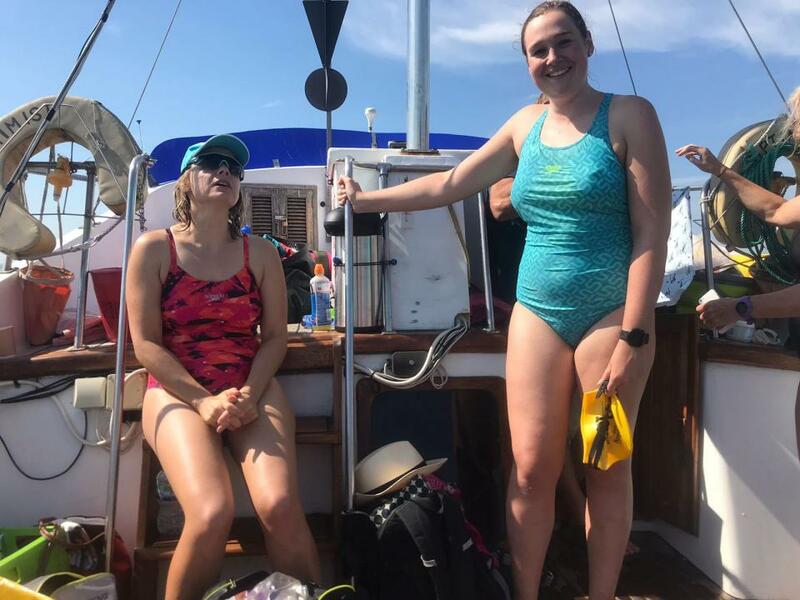 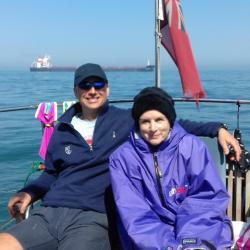 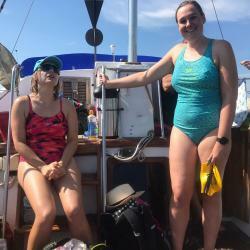 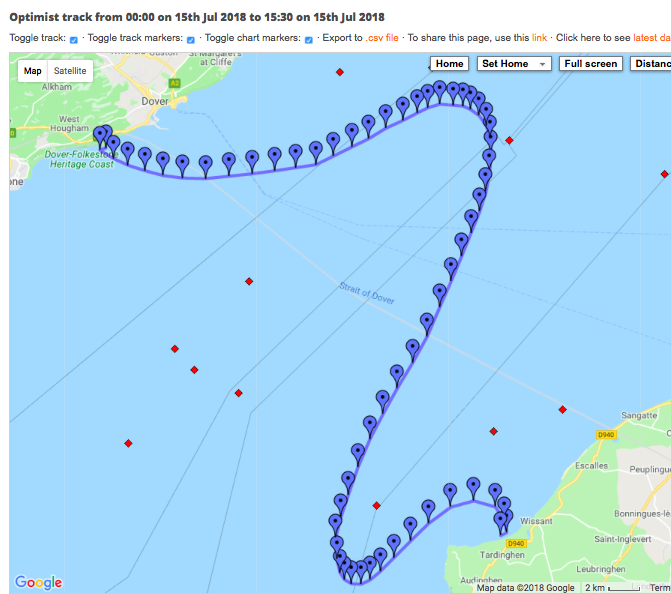 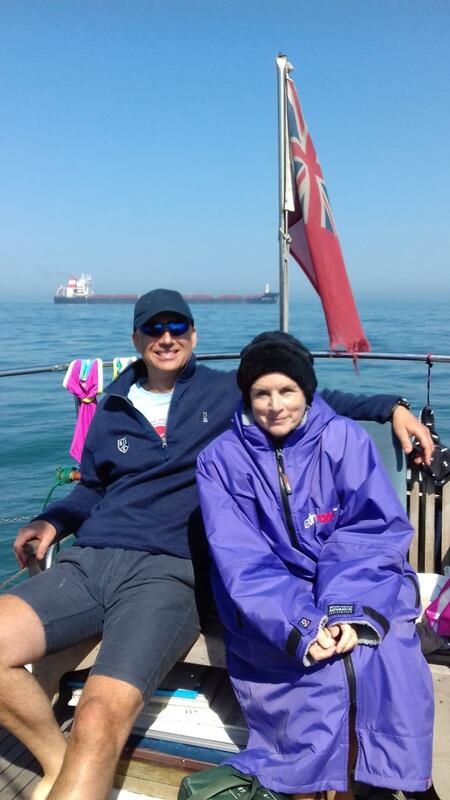 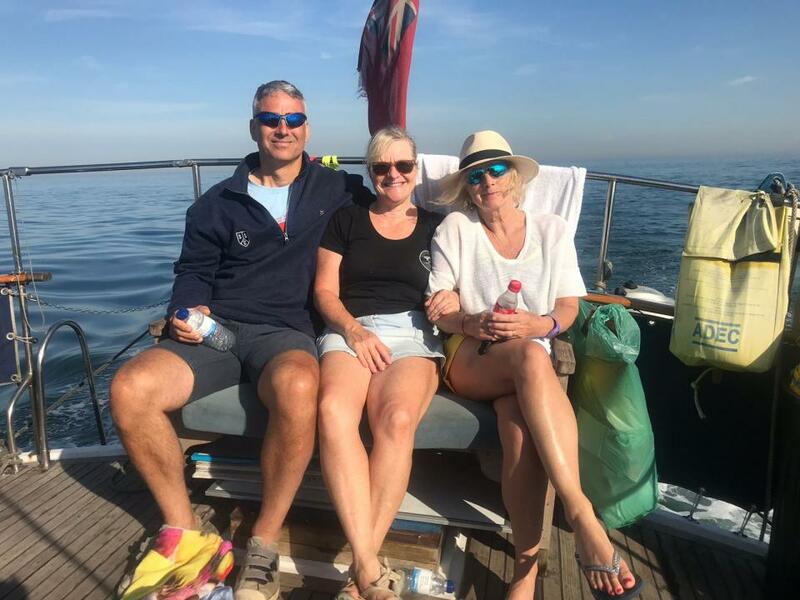 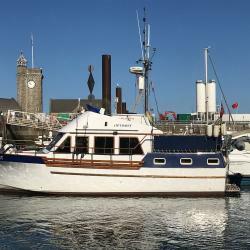 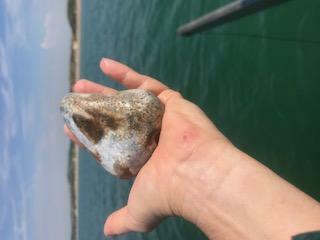 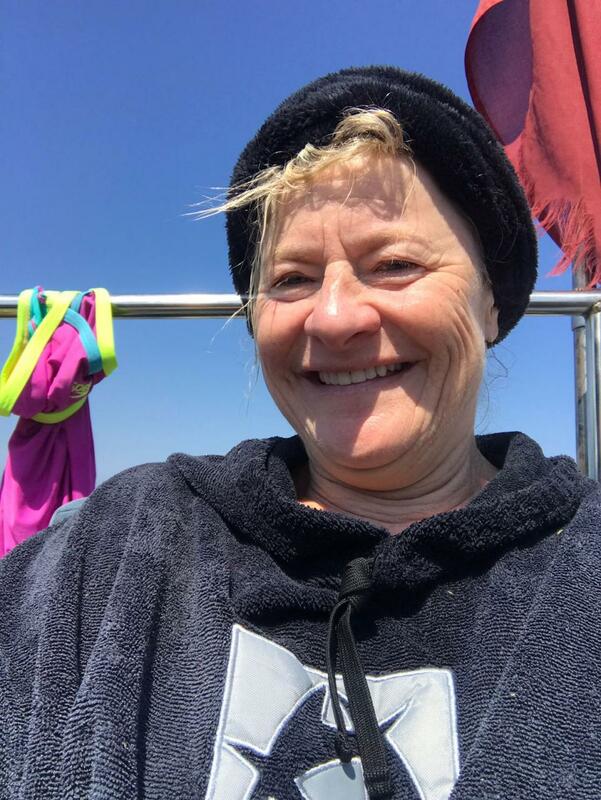 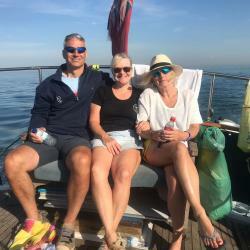 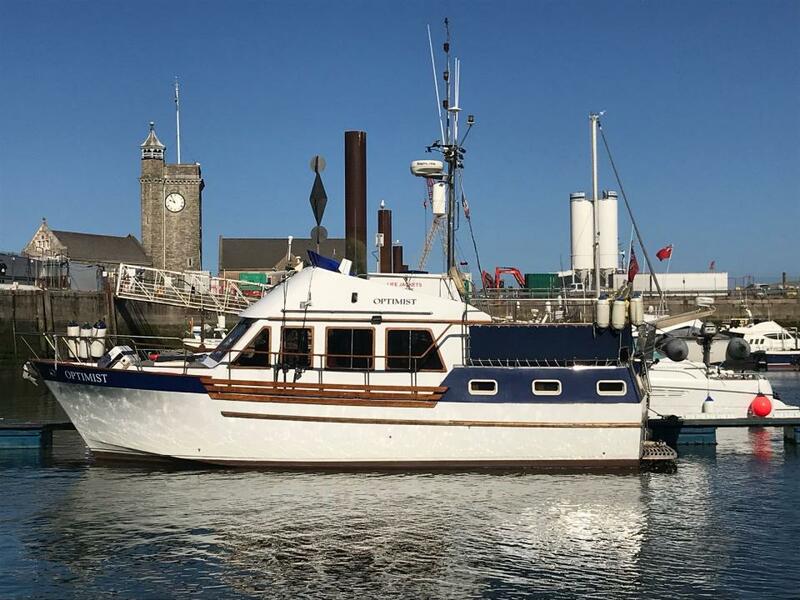 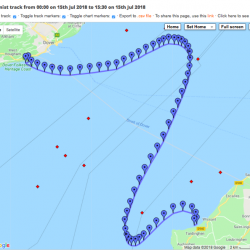 We swam to France in 15 hours and 7 minutes, writes Liz Hurst, one of the successful swimming members of the English Channel Relay swim to France on Sunday 15 July. 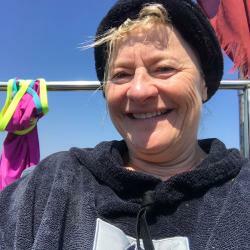 Walking ashore in France felt wonderful. 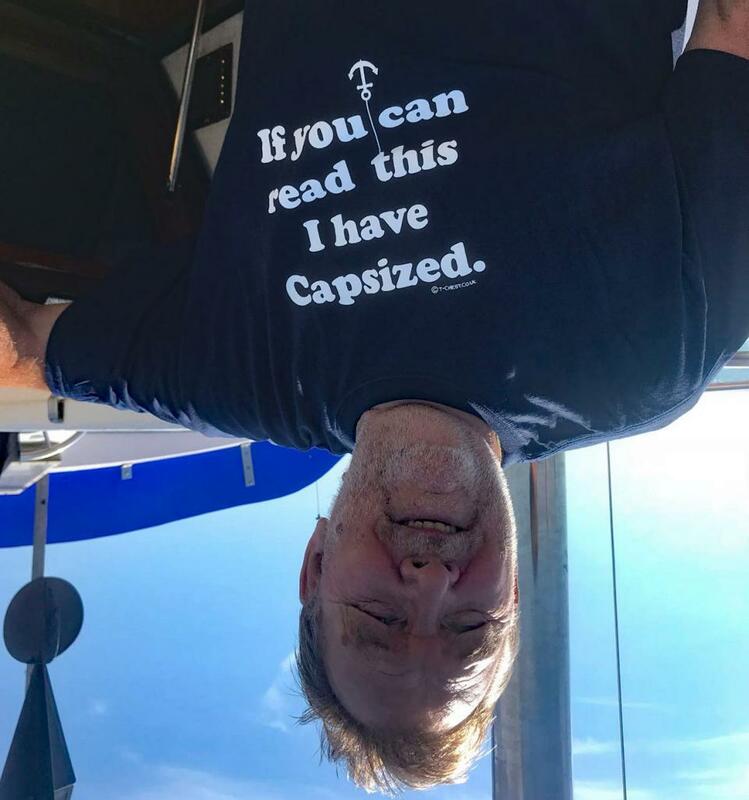 Thank you for all of your encouragement. 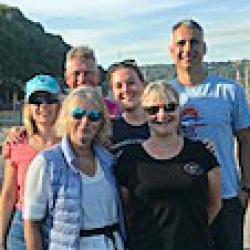 The successful relay team who swam from England to France included Liz Hurst, Linda Paxton, Juliet Finnis, Vanessa Mavra, Boris Mavra and Rob Ouldcott. 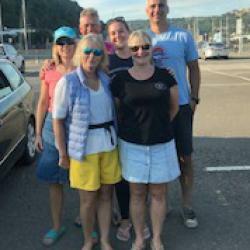 Thanks to Peter Impey who had been in the team, but he was sailing in the National 18 championships on the day. 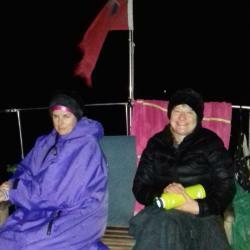 We had an early call, we were expecting to go in September. 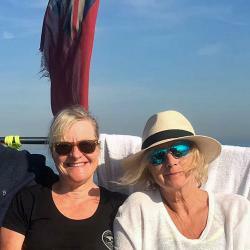 The sunshine called and we had a wonderful day out. 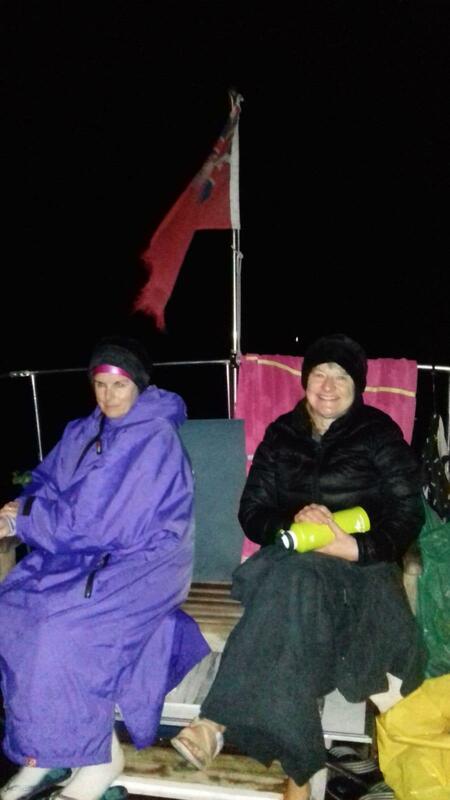 We met at 2300 on Saturday night and we started around midnight, finishing 15 hours and 7 minutes later. 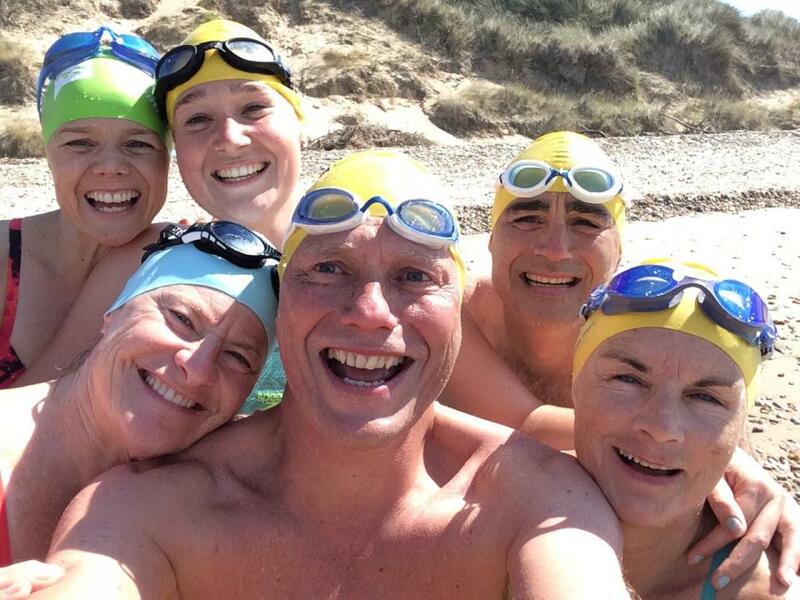 Order of swimming, each for an hour, was Juliet, Rob, Boris, Linda, Liz and Vanessa. 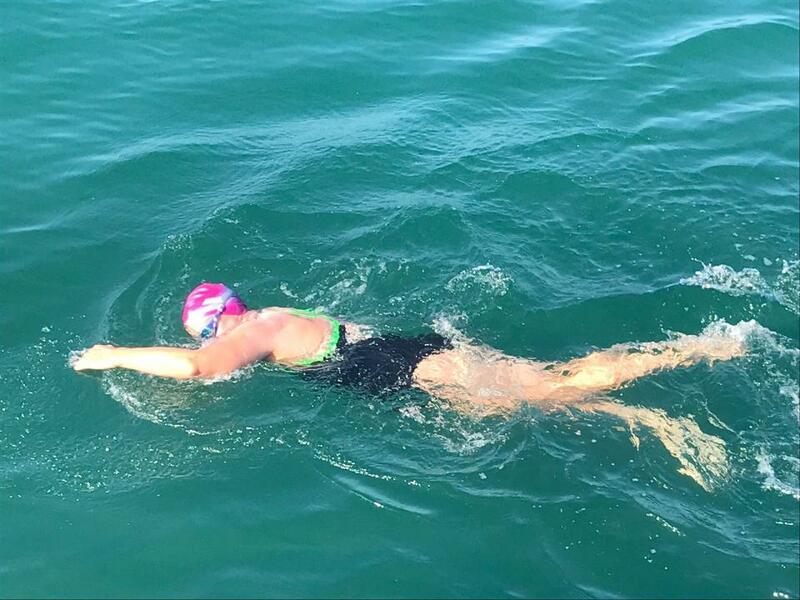 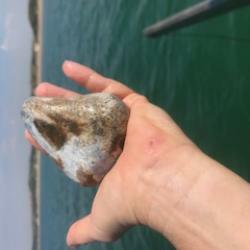 It was particularly sweet to be able to be taken in by Linda’s 7 minute swim to a sandy beach. 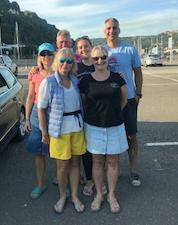 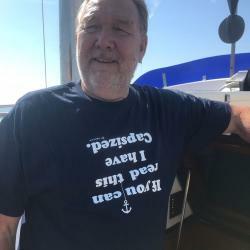 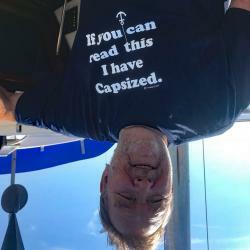 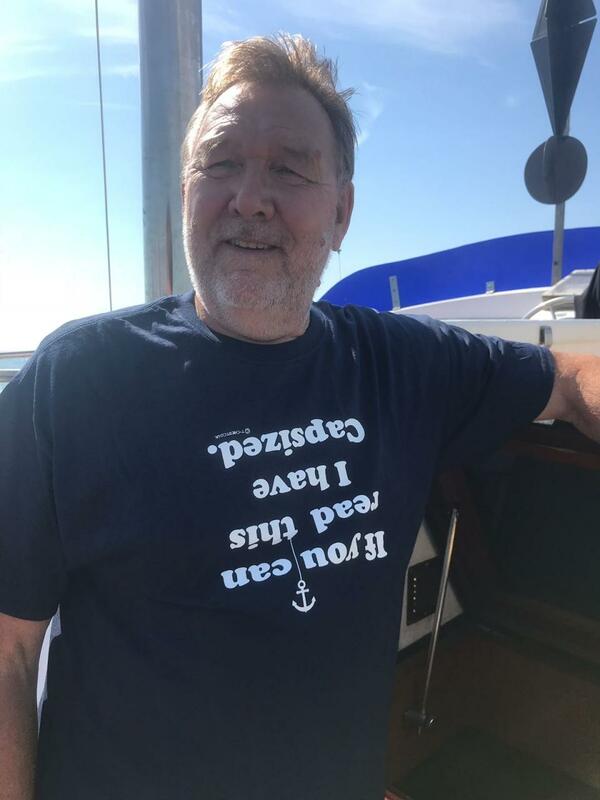 Thanks to the wonderful Paul Foreman, the pilot of Optimist who safely and successfully guided us across the busiest shipping lane in the world, and all the way to France. 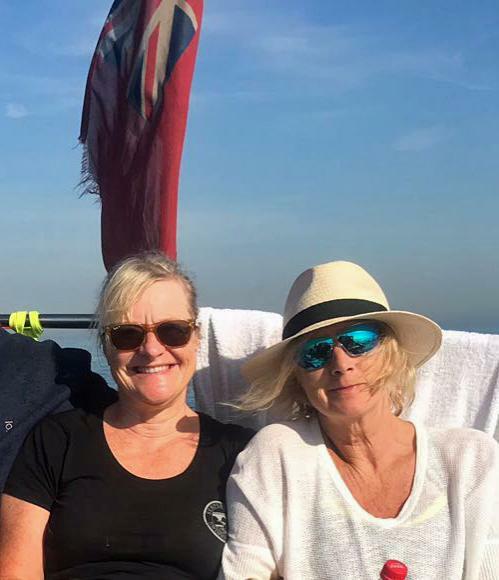 This latest escapade started when Linda met Boris at a party and enticed her to the Serpentine. 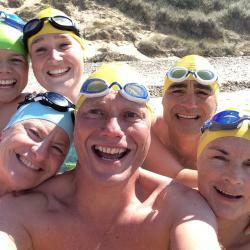 And now, we are English Channel Relay Swimmers.